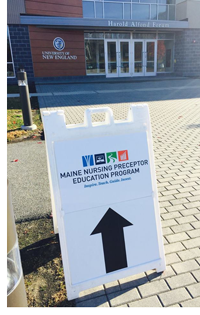 Officially launched in September, the fall 2015 Maine Nursing Preceptor Education Program was a great success with more than 135 participants from 36 health care organizations in 14 counties across the state. 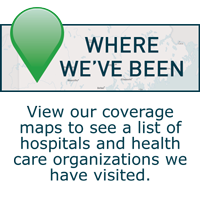 Special thanks goes out to Husson University for hosting our inaugural live workshop in Bangor and to the University of New England for hosting our second live workshop in Biddeford. 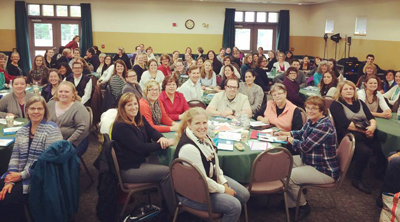 The program will be offered again in the spring — stay tuned for future details! Alcohol is the number one substance of misuse in Maine. Unfortunately, course work in substance use disorders has not consistently been included in the educational core curriculum for most health care providers. However, exploring alcohol use with patients and families and connecting unhealthy alcohol use with short-term and long-term consequences is a crucial public health need within Maine. Lunder-Dineen is pleased to announce its first learning activity to address this need as part of its Time to Ask health education pilot program. 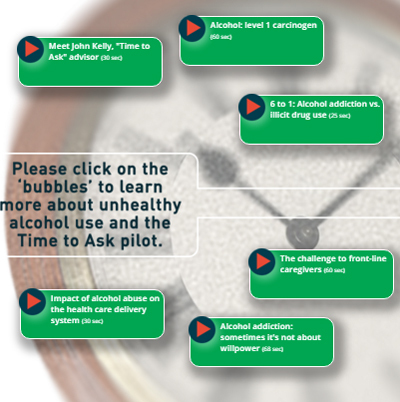 The interactive, web-based activity provides insights and information about unhealthy alcohol use. Quickly discover key information about alcohol by clicking on green “bubbles” to access short videos that feature Time to Ask Advisory team member and substance use disorders expert John F. Kelly, PhD. Dr. Kelly is associate director, Center for Addiction Medicine, Massachusetts General Hospital. 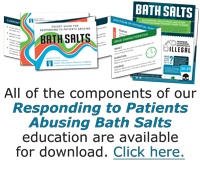 Designed for primary care physicians, all professionals on their teams, and other non-addiction health care professionals, Time to Ask helps these clinicians comfortably and confidently engage in conversations with patients to properly identify, assess, and recommend treatment for those who may be over using alcohol. Access the new learning activity at lunderdineen.org/impacts-unhealthy-alcohol-use. This webinar enhances practice for health care professionals who work with aging veterans and their families by expanding an understanding of demographics related to aging veterans, the range of health care challenges veterans face, and programs and services available to aging veterans. This session was intended for social workers and licensed mental health counselors across academic and practice settings.